Below you will find images for the Austin Eigt Van brochure of 1939 in colour. 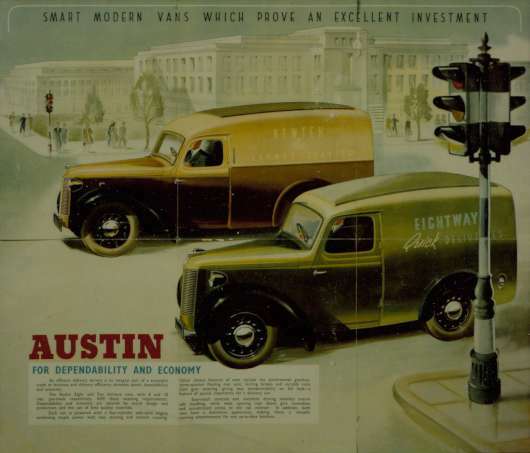 So far I have found two color shemes for the same brochure. 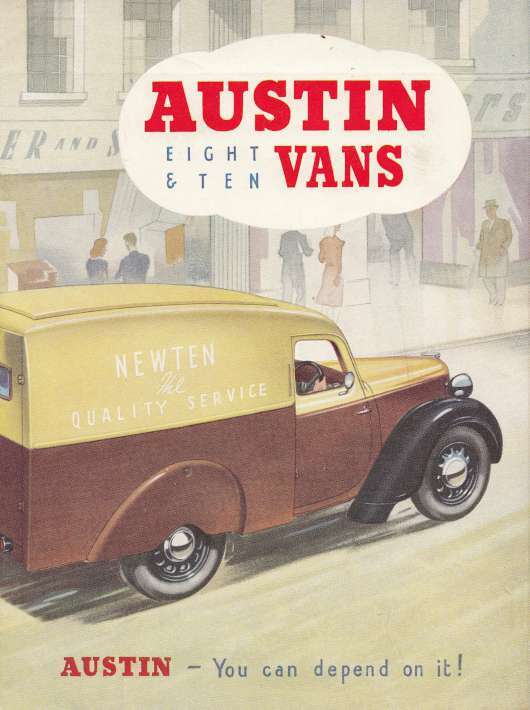 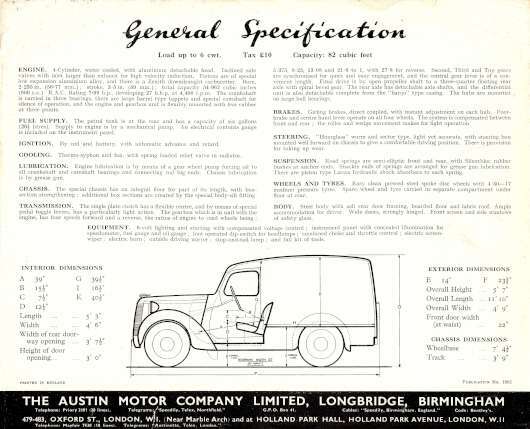 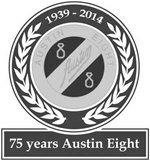 Below you will find images for the Austin Eigt Van leaf let of 1946. 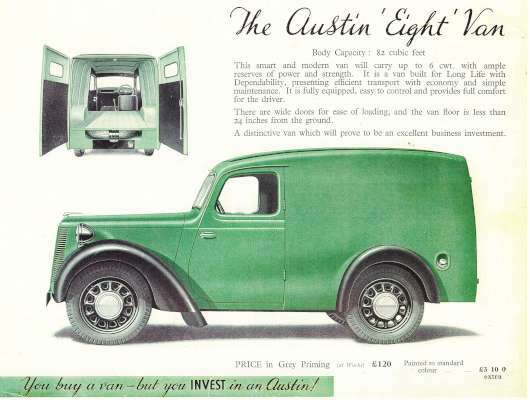 This sephia brochure seems to be post war, where the pre war brochures were in coulour.